Referred to as ‘the new maraschino’, Amarena Cherries are the latest trend in gourmet cocktails. 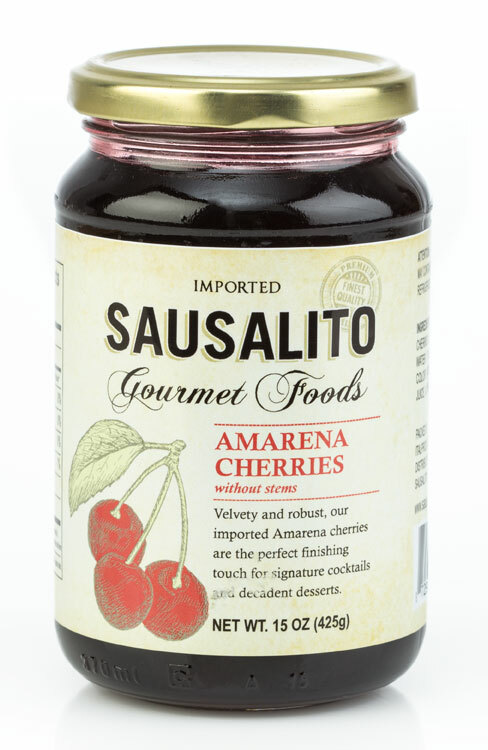 Sweet and flavorful, Amarena cherries are used by chefs and mixologists who demand a decadent finish for their creations. The Amarena cherry is a smaller, wild cherry grown in Italy that is packed in heavy syrup. The intense sweetness and firm texture are not subtle and genuinely draws out the richness in cocktails and chocolates. Be hip! Next time you’re having your favorite cocktail, have ‘the new maraschino’; have Amarena Cherries. Manhattan, Old Fashioned, Rob Roy, Clint Eastwood, Singapore Sling, Champagne, Shirley Temple. Chocolate cakes, ice cream, ice cream cakes, smoothies.